Earlier this summer, I had the pleasure of collaborating with a group of creatives on a wonderfully conceived shoot. With photographer Rebecca Jeanson and planner Justina Michaels at the helm, a Shakespearean inspired photoshoot was underway in the architectural loveliness of a New York City park. 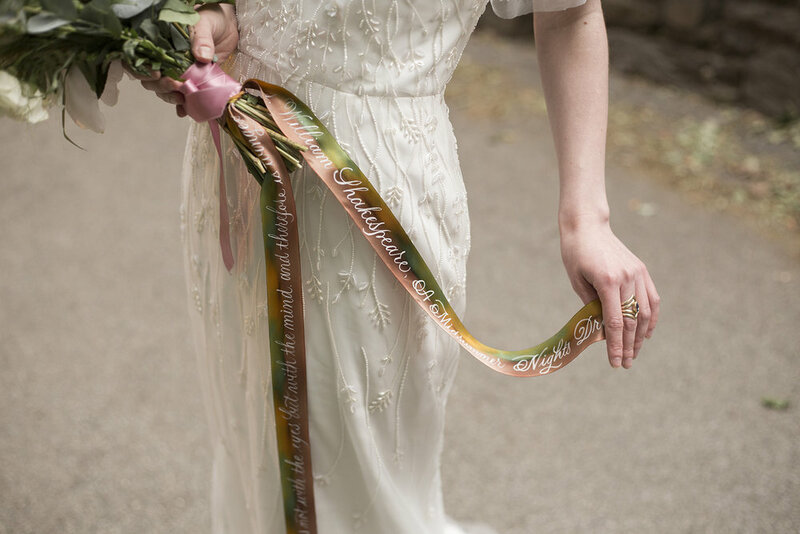 For my part, with the theme of A Midsummer Night’s Dream, I hand-lettered beautiful ombre silk ribbons with quotes from the play, which were used to adorn the bridal bouquets, and as napkin wraps at the dinner place setting. 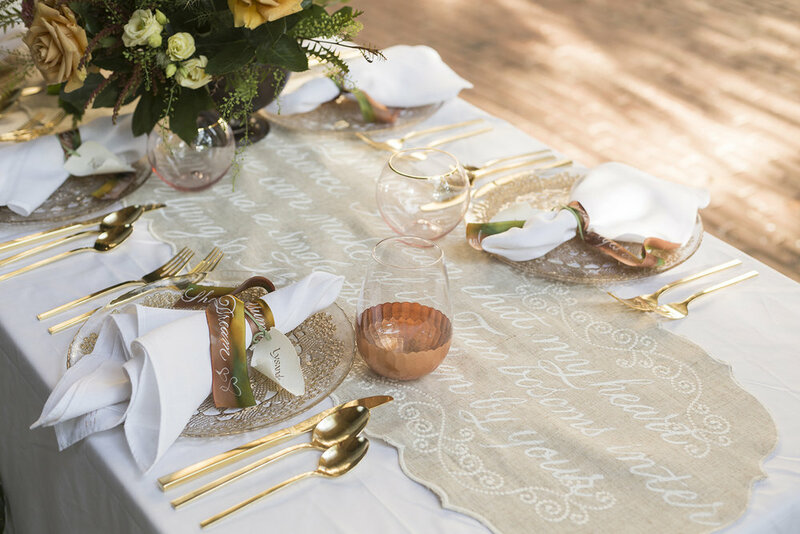 A similar brush script was hand-lettered onto a scalloped linen table runner for an elegant and outdoorsy tone to the tablescape. 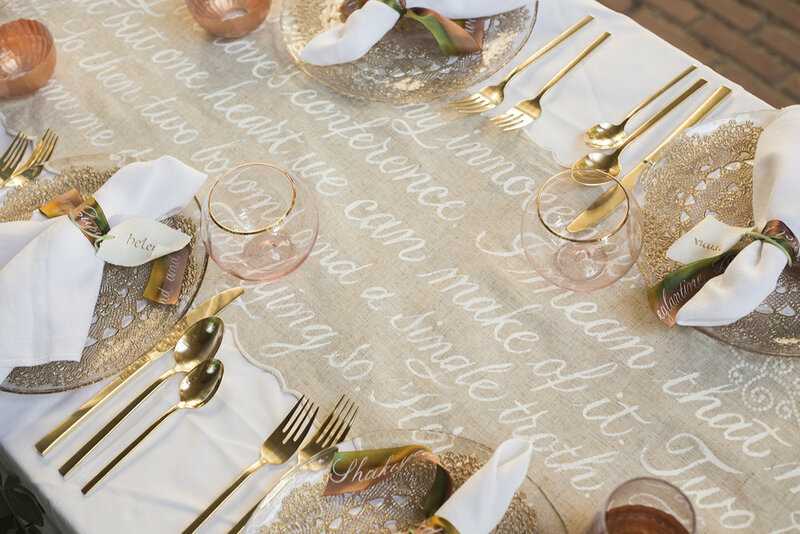 As a calligrapher aware of the plethora of modern and script lettering options in wedding inspiration, I wanted to explore a more appropriate calligraphic style. 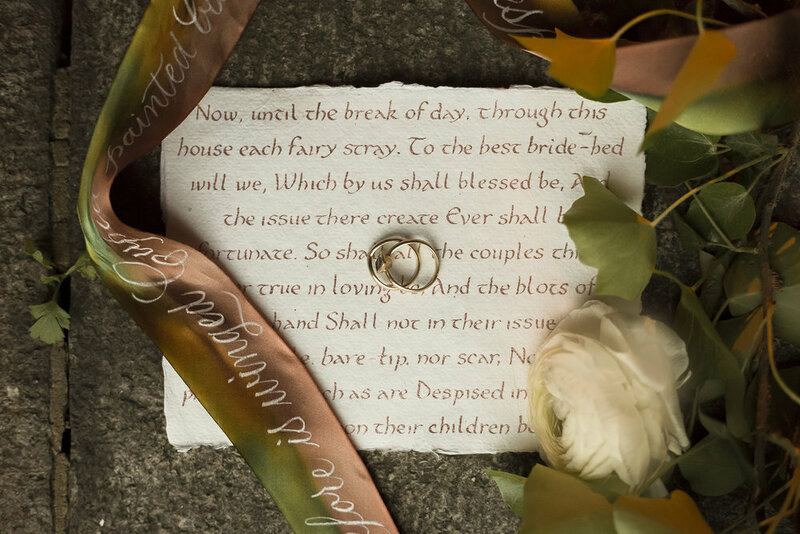 I used Carolingian hand—a style dating back to the 800s—to add a sense of historical heft to the visuals, writing the place card scrolls in rose gold.